The California stem cell agency's $40 million award to a Stanford-Salk group for stem cell genomics research is not yet a done deal. The award was approved more than two months ago by the agency's board. However, the proposal is now caught up in a staff review of the nitty-gritty of its details. Agency employees, as a routine matter, go through all board-approved applications to be sure all matters are in order, ranging from commitments on matching funds to overall considerations concerning the recipient's research budget. The California Stem Cell Report earlier today inquired about the status of the stem cell genomics award. The stem cell genomics round was marked by complaints about irregularities, unfairness, score manipulation and the role of its president, Alan Trounson. In the wake of the award, which was approved on a 6-1 vote by the 29-member board, the agency initiated an examination of the grant review process in the genomics round. Board member voting on the award was limited because of widespread conflicts of interest among the agency's governing board. It was the sort of story that Californians did not see during the ballot campaign 10 years ago that created the state's $3 billion stem cell agency. The story line then was of hope and the imminent prospect of cures for a host of diseases that afflicted half of California's population. Today in the San Francisco Chronicle, Stephanie Lee wrote of biotech companies that go for more than two decades without ever developing a commercial product. Lee's poster child was Geron Corp., which abandoned stem cell research in 2011 along with a $25 million loan from the stem cell agency. “A company that goes 24 years without ever selling a product may sound unusual. But in biotechnology, it's not that uncommon. Lee noted that Geron has an accumulated deficit of $893 million in debt since its founding and is now facing a number of lawsuits from unhappy investors. Besides Geron, Lee also mentioned Isis Pharmaceuticals and Dendreon Corp. as examples of biotech firms with a lengthy development history. Those odds, we should note, do not reflect development of stem cell therapies, but rather simpler substances. The expectation is that odds will go higher for stem cell therapies. All of which is not the best news for the stem cell agency, although the information is not all that new. 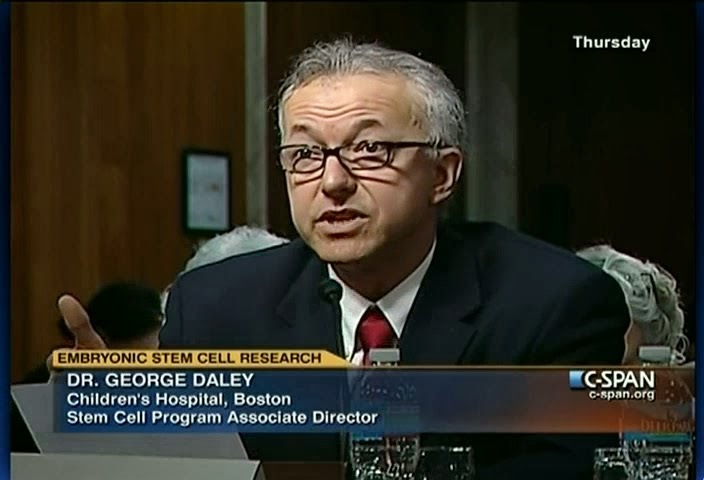 It was out there during the 2004 stem cell campaign, but the stem cell community did not want to talk about it, and the mainstream media largely did not report it. The figures remained unchanged today, although a more positive aura surrounds biotech than has existed for several years. Nonetheless, the story of long odds and fruitless research is one that bedevils the stem cell agency. It will run out of funds for new awards in 2017 and is looking for ways to avoid its financial demise. Creating a new narrative, one with a brighter future, is the agency's task as it tries to develop new funding. California stem cell researcher​/blogger Paul Knoepfler is reporting that he has ruffled some elite feathers in the stem cell community. “It seems (the) concept of not talking about bad news is well-entrenched in the stem cell field.... I’ve been informed that I’ve ruffled the feathers of a couple elite VIPs of the stem cell world by covering the STAP stem cell story on my blog and doing the stem cell crowdsourcing experiment. “Would they really prefer that we all just skip along merrily singing kumbaya? Earlier, Knoepfler also defended his blogging on the subject after stem cell scientist George Daley of Harvard expressed “concern” about the use of social media to discuss the subject. I wrote about that situation on March 7, noting the value of social media as a communications tool. “I like social media as a tool for transparency, Dave. It gets criticized for being overwrought, or witch-hunting in nature. But I didn't see that in Paul's post. This may explain, though, why he contacted me on Twitter about a post I wrote a while back called "The Trouble With Scientists" that is a defense of bloggers and smart scientist bloggers. Think of Rosie Redfield's blog post on the so-called arsenic-based life report that helped show the flaws. Or the blog Retraction Watch, by Ivan Oransky, who's both an MD and a journalist. The kind of thoughtful online discussion that I think you saw in Paul's piece adds to efforts to make research more open and more accessible. And acknowledging its flaws is just as important in the process as praising its successes. “Sunlight is said to be the best of disinfectants." Billionaire science is booming, the New York Times said today, and it is raising serious concerns along with a hearty huzzah for the infusion of increasingly scarce cash for research. “Billionaires with big ideas are privatizing American science." “American science, long a source of national power and pride, is increasingly becoming a private enterprise. “In Washington, budget cuts have left the nation’s research complex reeling. Labs are closing. Scientists are being laid off. Projects are being put on the shelf, especially in the risky, freewheeling realm of basic research. Yet from Silicon Valley to Wall Street, science philanthropy is hot, as many of the richest Americans seek to reinvent themselves as patrons of social progress through science research. The trend has implications for California's $3 billion stem cell agency, which will run out of cash for new awards in 2017. It is currently engaged in what it calls a “sustainability” effort, which simply means it is searching for ways to raise more money. One possibility is another state bond measure, which would require voter approval and an expensive ballot campaign. Another more likely prospect is some sort of private funding arrangement, including creation of a nonprofit organization to accept donations from the very sort of billionaires, plus businesses, that the Times discussed. is in the background with a gray tie. The list in the Times is relatively long and includes Bill Gates of Microsoft, Eric Schmidt of Google and Larry Ellison of Oracle. 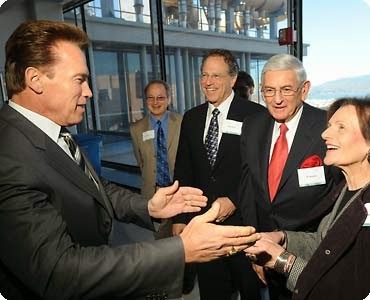 Also mentioned was Eli Broad, who has made large contributions to stem cell efforts in California. Not mentioned, oddly enough, was Denny Sanford, who last fall donated $100 million for stem cell research at UC San Diego. The Times article said the “personal setting of priorities is precisely what troubles some in the science establishment.” Also raising concerns is the enrichment of elite universities at the expense of poorer ones. Nonetheless, reporter Broad wrote that the influence of billionaire donors is likely to grow given their wealth and the national budget wars. One study cited in his piece shows that at the 50 leading science research universities, private donors already account for roughly 30 percent of the schools' research money. The timeline on that treatment is not too different than what might be considered the timeline set in Prop. 71, which created the California stem cell agency. The ballot measure provided for 10 years of funding via money borrowed by the state. Although the measure was passed in 2004, legal battles delayed issuance of the bonds, meaning that the agency's financial clock has not yet completely run out. As for commercial cures built on agency research, no one at the agency is publicly predicting their entry into the market place within the next three years. Directors of the California stem cell agency today rejected a $13 million application for heart research despite allegations that the agency's review involved a conflict of interest. The vote was 3-8 on the proposal by Eduardo Marban, director of the Cedars-Sinai Heart Institute, who complained that a conflict existed during the review of the application. The agency said it conducted an "extensive" examination of Marban's charges and determined that no legal violation of the agency's conflict of interest rules had taken place. Appearing before the board, Marban said that the review was a "white-wash." He also said the CIRM staff's re-examination of the scientific issues was inadequate. Marban did not disclose specifics of his complaints about the nature of the conflict. Nor did the agency. But he referred to unspecified actions by a "venture capitalist." CIRM said no venture capitalists were involved in the review. 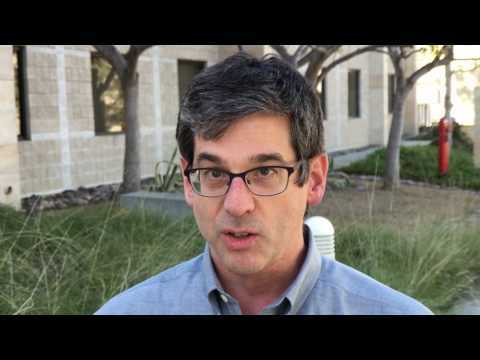 CIRM Director Jeff Sheehy asked CIRM staff whether any California residents were among the reviewers during the grant round involving Marban. Gil Sambrano, CIRM's associate director, review, said there were and indicated they served as "specialists." Sambrano also said one of the reviewers in the round had a conflict because he was involved in one of the grant applications being reviewed. CIRM has long contended that to avoid conflicts of interest no persons from California served as grant reviewers. However, Sambrano said that provision applied legally only to members of the grant review group, formally known as the Grant Working Group, and did not apply to the use of specialists. Sambrano said the specialists do not participate in the actual act of scoring during the closed-door reviews of grant applications. Marban's application received a score of 48 out of 100 with a range of 20 to 74, CIRM disclosed today. Several members of the board, including Chairman Jonathan Thomas, said it was necessary for the board to respect the opinions of grant reviewers and the conclusions of its staff. Marban has been highly regarded by the agency, which cited his research during a review earlier today of CIRM's accomplishment. 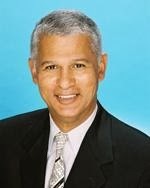 He has received $7 million in grants and a company he founded, Capricor, has received $20 million. CIRM has long cloaked its grant review process in secrecy, in keeping with the traditions of scientific peer review, even though the awards involve public money. The reviews are conducted in private. The names of the applicants are not disclosed. The names of reviewers are not disclosed. The reviewers' economic, personal and professional interests are not disclosed. Scores on rejected grants are not disclosed, unless the applicant appears publicly before the board. Names of applicants appealing reviewer decisions are not disclosed unless they also communicate publicly with the board. That provision was put in place last year by the board. The total number of directors voting on the application was only 11 compared to 29 on the board. The number is small because of conflict of interest rules at the agency. The $3 billion California stem cell agency is down to its last $402 million, according to figures released today. The nearly 10-year-old research effort is scheduled to run out of cash in 2017 and is looking for ways to continue funding, including possibly asking California voters to authorize more borrowing for stem cell research. The agency operates on funds borrowed by the state (bonds). The borrowing roughly doubles the cost of the program to $6 billion because of the interest on the bonds. The agency has handed out $1.8 billion so far. About $512.5 million more has been approved in concept. That figure is subject to change until the award rounds officially start with the release of an RFA. The remaining amount is for administration of the CIRM program, which is capped by law at 6 percent of spending. Directors of the California stem cell agency today approved $72 million to help drive stem cell research into the clinic and commercialization, despite concerns that it would damage the agency's ability to hire a new president. The total for two concept proposals will consume roughly 14 percent of the agency's remaining cash, leaving only $402 million for future awards. Director Jeff Sheehy said that the agency is going through money at an "alarming pace" and that approval of the plans would limit the agency's future ability to take advantage of research opportunities. He said the board was basically telling presidential candidates that we want "to hire you to manage the last embers of a dying fire." The agency is scheduled to run out of cash in 2017. Other directors were concerned about losing the agency's research momentum. Some said businesses could not wait many months or a year to gain funding. A motion to delay a decision was rejected on a 7-12 vote. Directors then approved one of the two concept proposals, a $32 million program, on a 14-3 vote with two abstentions. The proposal will provide up to $32 million for possibly three awards in the agency's business-friendly strategic partnership program ranging from $10 million to $12 million. The objective would be completion of a phase one or phase two clinical trial within three years. Matching funding would be required. Both businesses and non-profits would be eligible with forgivable loans a possibility for businesses. The largest new proposal will provide up to $40 million for four or five preclinical development awards and was approved on a 19-0 vote. It is aimed both at development activities prior to a phase one clinical trial and at helping to attract future funding. Businesses and non-profits would eligible with businesses possibly taking a forgivable loan. The posting of a request for applications is scheduled for April and May. Board action on applications would come early next year. The California Stem Cell Report will provide live coverage of today's daylong meeting in Burlingame, Ca., of the governing board of the $3 billion California stem cell agency. On the agenda are $72 million worth of concept proposals aimed at speeding stem cell therapies into the clinic, along with an allegation that a conflict of interest was involved in a $13 million grant application. The meeting begins at 9 a.m. PDT. For those who would like to listen in live via the Internet, the agenda contains instructions and information about how to see the Power Point presentations being used. The public can also participate in the meeting, make statements and ask questions at teleconference locations in Japan, Los Angeles(2) and La Jolla. Specific locations are on the agenda. The director of the Cedars-Sinai Heart Institute today asked the governing board of the California stem cell agency to approve his application for $13 million for heart research, declaring that the agency's review of the proposal was tainted by a conflict of interest. Marban's application was the subject of an article on the California Stem Cell Report yesterday, which discussed the lack of transparency in the agency's grant review process, particularly in relationship to conflicts of interest. The application was quietly removed from CIRM board consideration in December and has been placed on the board's agenda for action tomorrow in Burlingame, Ca. The agency withheld Marban's name, the names of reviewers and the nature of the conflict charges. Marban did not go into specifics concerning the conflict in his letter today. We have emailed him, seeking details. Marban has previously received $7 million for research from the agency. Capricor, a company he founded, has received $20 million. The company is scheduled to be highlighted in tomorrow's CIRM governing board meeting as one of its success stories. “The present proposal (DYNAMIC) is ready to go into patients immediately; it is FDA and IRB approved. In fact, we have a list of 30+ patients who are waiting to be screened for enrollment, as soon as funds are available. These patients are ill, with a mortality exceeding that of many cancers. Indeed, several eligible patients have died in the interlude between the last ICOC meeting, when this proposal might have been funded, and the present. The outside counsel for the $3 billion California stem cell agency has revisited actions taken by the agency in the wake of the Institute of Medicine report that recommended sweeping changes to deal with conflicts of interest at the agency, its controversial dual executive arrangement and the fundamental nature of its governing board. James Harrison of Remcho Johansen and Purcell of San Leandro, Ca., prepared a 21-page report, including attachments, as part of an earlier plan to examine actions by the board in response to the blue ribbon report by the IOM, which cost CIRM $700,000. The CIRM board greeted the IOM study in 2012 with something less than enthusiasm(see here and here), but has taken some steps to deal at least partially with issues raised by the IOM. Last week the California Stem Cell Report asked the chairman of the study, Harold Shapiro, former president of Princeton University, for his take on Harrison's recap. Shapiro has not responded. Harrison repeated the agency's contention that only perceived conflicts of interest exist at the agency. And he said the board's alteration of voting procedures appear “to have largely addressed the perception of conflict of interest.” However, most of the document was merely descriptive as opposed to an evaluation of the pros and cons of each agency response. Nor did he compare the CIRM's responses to each of the recommendations of the IOM. The California Stem Cell Report will provide live coverage of tomorrow's daylong meeting in Burlingame, Ca., of the governing board of the $3 billion California stem cell agency. On the agenda are $72 million worth of concept proposals aimed at speeding stem cell therapies into the clinic, along with proposed changes in the administration of grants involving hundreds of researchers. The reader is a researcher at a major California institution, who does not want to be otherwise identified. The scientist's comment focused on one of the host of Power Point presentations used by CIRM at last January's meeting of the Citizens Financial Accountability and Oversight Committee, the only state entity charged with overseeing the stem cell agency and its governing board. Here is the full text of the comment. “You referred to the slide show as mind-numbing. I might call it weird. “The first slide 'CIRM's vision and strategy' No vision or strategy follows. “The near last slide: 'what does CIRM want?' is the stunner. “Stem cell therapies -- Not just any therapy but those 'where the stem cell connection is strong.' And if the connection is weak? Say the disease path was identified in stem cells, and the drug for the path made separately or turns out to be a small molecule? Then what? CIRM won't fund it. A plan for development -- so what have they been doing for 10 years? “CIRM wants to have a strong, 'major impact' -- Is this a vision, lament, or failure to hire the right publicist? 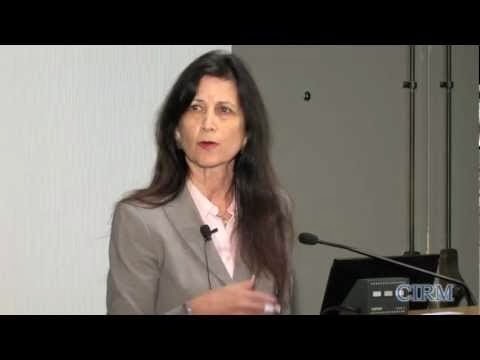 “CIRM wants diseases that already come with biomarkers and a good understanding of the pathophysiology, diseases that come with their own definitions of efficacy, so that clinical trials are easy to do. Heck, if we knew all that, then treatment development would be rational and easy; both NIH and industry money would and does fund it. “CIRM wants proof of concept by 2017. Please give us a disease and intervention for which we can do a phase 2a study and show efficacy. “Finally, CIRM wants 'a strong, credible team with expertise ...' and executive ability. Yes, as their regular pronouncements indicate, they lack credibility and expertise in many areas?" Our take: Clearly the use of Power Point presentations at the CFAOC session did not have the desired effect, either on the audience at the time or on the scientist who sent the above commentary. However, that was only part of the problem at that meeting. The California Stem Cell Report's comment about mind-numbing Power Point presentations was also aimed beyond last January's meeting to include CIRM's heavy reliance on such presentations, which too often substitute for nuanced, written explorations of the issues at hand. The presentations by their very nature are nothing more than outlines. Almost invariably they are simply read to the audience, as in the governing board of the agency. If the goal of the agency is to convince persons outside the agency of the virtues of its billions of dollars in spending, “death by Power Point” is not the way to do it. Like any tool, such presentations have a use. But they are not always the best tool for everything. Changing or dropping Power Point presentations, however, will not guarantee that CIRM can make the sale on its programs. If it is going to avert financial death in 2017, when funds for new grants run out, it will have develop a pitch that connects viscerally as well as intellectually. 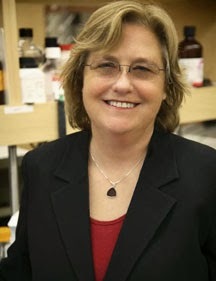 Marcy Feit, a longtime member of the governing board of the $3 billion California stem cell agency, has resigned from the position. She gave no reason for her resignation in her Feb. 6 letter to Lt. Gov. Gavin Newsom. She was appointed by Lt. Gov. 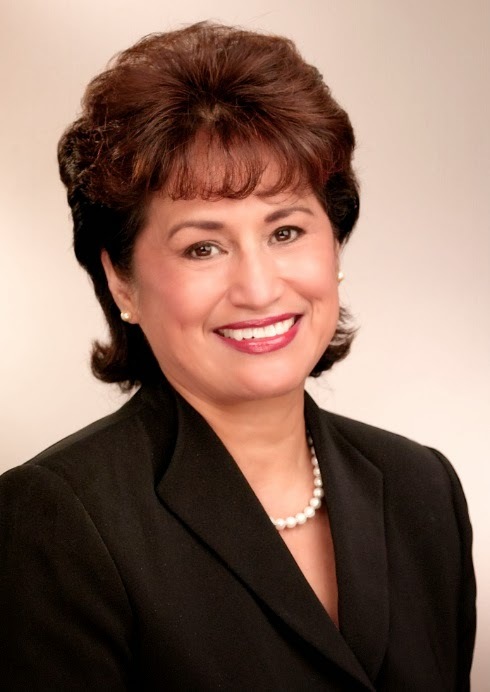 Cruz Bustamante in 2005, who heralded her for her work in improving health care for rural residents of California. In the letter, she said she was resigning as of Feb. 4, the same day she quit as CEO of ValleyCare Health Systems in Northern California. No reason has been given for her departure from ValleyCare, but since then a wave of cutbacks has been announced for the enterprise. Feit had headed ValleyCare since 1997. She was one of the few minority women to head a California health care system and the only minority woman on the 29-member CIRM board. (She is a Latina.) She has been noted for her efforts to improve its fiscal operations and accounting procedures. Here is the full text of her letter to Newsom, who will appoint her successor. The letter was provided by CIRM at the request of the California Stem Cell Report. “I write to inform you of my resignation as a member of the Independent Citizens Oversight Committee, the Governing Board of the California Institute for Regenerative Medicine, effective February 4, 2014. It has been my honor to serve the State of California as one of your appointees to CIRM’s Governing Board. I am extraordinarily proud of the progress we have made in establishing CIRM, developing strong ethical, medical, and scientific policies, and ensuring that Californians will have the opportunity to benefit from the important research that CIRM is funding. In an unusual move last December, the California stem cell agency removed – with no public explanation – an application for $13 million from consideration by its governing board. That application is now back before the board on Thursday and is almost certain to be rejected. What is missing, however, are important specifics about the matter. They are cloaked by the agency's rules that conceal most of the CIRM grant review process, including the names of applicants along with the identities of reviewers and their economic and professional interests. Also shrouded are the details of any complaints about conflicts of interest as well as any other appeals. No scientific score was released for the review but it was last on the list of all applications in this particular round. The agency usually lists the applications in order of their scores. When the application popped up on the agenda for this week's meeting, we inquired again, seeking more information. That was seven days ago. Reviewer Joyce Frey-Vasconcells was barred from participating in the review of the application, according to its CIRM review summary. Other reviewers in the round who could participate in assessing the application included Joy Cavagnaro, Raj Chopra, Derek J. Hei, Hassan Movahhed and Andrew Balber. Their names were listed on review summaries on other applications in the round where they had conflicts of interest, either professional or economic. The applicant's appeal does not necessarily end with the CIRM staff decision. The applicant can appear before the board in public on Thursday and seek to overturn the action or ask for further investigation. It can also send material to the agency for delivery to all board members. As mentioned previously, the name of the applicant was withheld by the stem cell agency. But it could likely be discerned by a knowledgeable stem cell researcher based on information contained in the review summary. If the applicant would like to send both of its appeals to the California Stem Cell Report, we would be glad to carry their full text and any additional commentary that the applicant would like to make. Other applicants have done so in the past. The agency has no prohibition against such an action and actually has a term for it – self-disclosure. Our take: The stem cell agency's appeal process ill serves the California public, grant applicants and CIRM itself. The $3 billion agency's reliance on secrecy only raises more questions about cronyism and unfairness, some of which have dogged CIRM since its inception. The recent flap over the $40 million genomics round is only the most recent example. Roughly 90 percent of all the cash handed out by CIRM has gone to institutions that are represented on its governing board, which sets the rules for the grant-making process and determines the nature of the grants. The board's conflicts are built in by Prop. 71, the measure that created the agency in 2004. The only genuine way to ameliorate the issue is with more transparency. It was a genuine “where's the beef” session for California's nearly 10-year-old, $3 billion state stem cell agency. A member of the only state body legally delegated to oversee the California Instititute of Regenerative Medicine (CIRM) and its governing board wanted an answer to a simple question: What cures has the agency produced as promised during the 2004 ballot campaign that created the state program? The occasion was a meeting Jan. 22 in downtown Los Angeles of the Citizens Financial Accountability and Oversight Committee, a group headed by state controller John Chiang. It meets once a year to examine the activities of the agency. Jim Lott, a long-time member of the panel and an executive vice president of COPE Health Solutions of Los Angeles, was pressing CIRM Chairman Jonathan Thomas and Ellen Feigal, CIRM's senior vice president for research and development. Thomas and Feigal struggled at some length to give him satisfying answers to his question. It was a tough series of exchanges with Thomas and Feigal talking about “incremental” work and “continuums” along with unrealistic, high expectations raised by the 2004 campaign. Those expectations burden the agency's current efforts to find new funding for awards beyond 2017, when the cash runs out. “You don't have a good message,” Lott said, declaring that he raised the issue two years ago. Here is an exchange from early in the meeting involving Feigal and Lott, who has spent 23 years in the California hospital industry. Feigal continued in that vein for a few more minutes. Lott then asked about CIRM's return on investment(ROI), which amounts to $6 billion that the state will have to pay to support the agency, including the interest on the money that was borrowed for grants. “Here's my problem. As you said earlier, and I agree with it completely, I think it's a question of expectations. I know when I voted for this, and I did vote for it, I had some expectations. And my expectations were (that) we were going to see something in terms of cures at the end of the rainbow after we spend $3 billion, whatever it is that we're spending here. Thomas and Feigal, aided by their Power Point presentations, continued to talk about CIRM's partnerships, disease teams and funding mechanisms. “Not if you don't get beyond the marketing problem you got. I'm telling you, pal, I would have a hard time voting for it again." of the St. Mariana School of Medicine delivered the child, which he is holding. 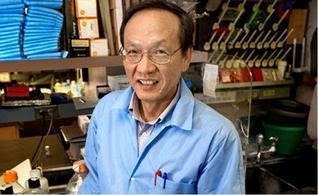 Scientists and other stem cell fanciers in Japan will have their first chance this Thursday to take part in a meeting of the governing board of the $3 billion California stem cell agency. That's because one of the board members, Ken Burtis of UC Davis, is in Nara, Japan, for a visit on the day of the meeting in Burlingame, Ca. He will be linked to the session via a telephone connection. It will be a two-way hookup that the public can use to participate, a requirement of California state law. Stem cells are a hot scientific and commercial topic in Japan. According to an article last November in the Japan Times, the country's regenerative medicine market is expected to climb to $15.85 billion in 2030, up from $260 million in 2012. Japan is also the home of the induced pluripotent stem cell, which was first produced there. 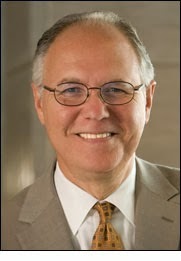 Burtis is a professor of genetics and provost at UC Davis. It was not immediately known whether his visit to Japan involved UC Davis, the stem cell agency or was personal. Burtis' access to the stem cell meeting, which includes a lengthy briefing on the agency's development portfolio, will be from the Hotel Nikko in Nara. Interested parties will be able to participate from the room in which Burtis is monitoring the meeting. However, the meeting agenda does not specify a room number. That will have to be obtained by emailing the stem cell agency at info@cirm.ca.gov. It is best to do that well in advance of the meeting. This week's meeting has nothing specific on the agenda related to Japanese stem cell affairs, but stem cell research is a global matter. Researchers and others in Japan may well learn something new, particularly from the briefing on the agency's portfolio, and will have an opportunity to pose questions. Additionally, the board will be considering $72 million in "concept" proposals to speed commercialization of stem cell research, which could well be of interest to Japanese stem cell researchers and biotech firms even if they are not eligible for awards. The California stem cell agency, which is known as CIRM, has also had a collaborative arrangement with Japan Science and Technology Agency since 2008. The agreement has resulted in one collaborative funding project involving Aileen Anderson of UC Irvine and Masaya Nakamura of Keio University. Anderson has received $1.3 million from CIRM, which did not announce the amount of funding that Japan provided to Nakamura. It is a story that has to do with high priests, cloistered discussions and the glacial pace of scientific research. The tale involves George Daley of Harvard, Paul Knoepfler of UC Davis and Japanese and Massachusetts researchers who say they can create STAP cells with an acid bath. Let's start with the acid bath research, which rocked the stem cell world a few weeks ago. The apparently simple method of generating cells surprised nearly all researchers, some of whom expressed skepticism. 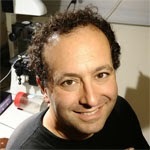 Paul Knoepfler is one scientist whose analysis of the research was available for the world to see on his blog, ipscell.com. 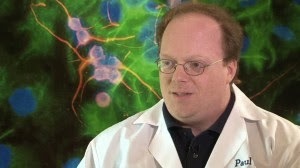 Knoepfler is also one of the few stem cell researchers to blog about their field, a matter that troubles some scientists. “I suspect that in (a) hypothetical social media-less reality there would be no Nature or RIKEN investigations going on to help clarify certain elements of the STAP situation. I’m convinced there would also have been no detailed STAP protocol put out there in the public domain as we saw pop up yesterday. The two STAP Nature papers would also almost certainly still be behind pay walls instead of openly available via my request to Nature to make them that way. Our take: Every major enterprise, but perhaps more so in science, contains its high priests, individuals who control discussion and formally or informally lay down rules. Then there are institutions and vested interests that collaborate on setting the standards, such as permitting discussions in only certain cloistered venues, away from the untidiness that might involve the public or those deemed to be ill-informed or whose views are unwelcome. Along with that comes inertia, an unwillingness to change and resistance to new techniques. All of which leads to glacially slow dissemination of information that could speed research and development of therapies that could save lives. Michael Eisen, a scientist at UC Berkeley, weighs in on this topic regularly. In a blog item September 2012, he noted that most papers that had been submitted 10 months earlier to journals were still languishing on some editor's or reviewer's desk. “Consider that most papers submitted to journals last November 26th have still not been published. That’s not a random date – it happens to be the day NASA launched an Atlas rocket carrying the Mars Scientific Laboratory from Cape Canaveral. Use of the social media is unsettling to many scientists. Nonetheless, it is a fact of life. Its use will inevitably grow. Like newspapers, the reach and role of the journals are diminishing. The only question is how fast. For researchers to turn their back now on a key information sharing tool such as social media would be like rejecting the microscope because of wariness about new-fangled gizmos and their reliability. There is another bottom line on all this: Money. One of the reasons for the financial plight of the NIH and research funding is the lack of widespread, public enthusiasm for research. If research funding had the kind of constituency that Social Security and Medicare have, there would be few problems with cash for scientific grants. While research funding is unlikely to ever achieve that sort of support, it can improve its public standing by artful use of social media. Mastering those techniques should be high on the agenda of every researcher in the country. 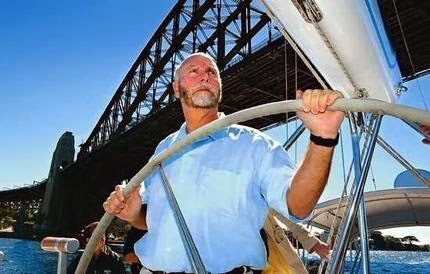 Craig Venter aboard his research yacht in 2004. Craig Venter, the international genomics superstar, is staking out a claim on stem cell turf. The move comes with the formation of Human Longevity, Inc.(HLI), Venter's new company in the La Jolla, Ca., area. “The company will be embarking on an ambitious multi-pronged effort utilizing stem cell therapy advances to enhance and improve the healthy life span. HLI's work is premised on the theory that as the human body ages many biological changes occur, including substantial changes and degradation to the genome of the differentiated, specialized cells found in all body tissues. There is also a depletion and degradation of healthy regenerative stem cell populations in the body over time. HLI will monitor the genomic changes which occur during stem cell differentiation, normal aging, and in association with the onset of disease. "'The global market for healthy human longevity is enormous with total healthcare expenditures in those 65 and older running well over $7 trillion,' said Dr. (Bob) Hariri. 'We believe that HLI's unique science and technology, along with our business leadership, will positively impact the healthcare market with novel diagnostics and therapeutics.'" Writing on Biopolitical Times, Pete Shanks of the Center for Genetics and Society in Berkeley picked up part of the conference call earlier this week announcing the company. Shanks said, . 'Stay tuned for more announcements on the stem cell side.'" Diamandis is a co-founder of the firm and CEO of the X Prize Foundation. The Sanford stem cell center was funded with $100 million last fall from billionaire Denny Sanford. 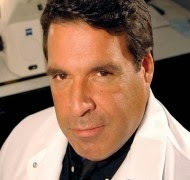 Goldstein has received $21 million in funding from the California stem cell agency. 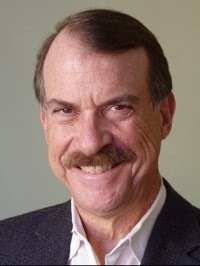 Three other representatives from UC San Diego are on the HLI scientific advisory board including David Brenner, a longtime member of the governing board of the California stem cell agency. Venter was a featured speaker at a California stem cell agency governing board meeting in 2012. The J. Craig Venter Institute is a partner in the $40 million genomics stem cell award made by the agency to a team led by Stanford in January during a controversial award process. Sangamo Biosciences is one of the California stem cell agency award recipients that is again surfacing in the news in a way that could ultimately burnish the reputation of the $3 billion research enterprise. Sangamo, a publicly traded company based in Richmond, Ca., popped up in a story in the New York Times dealing with the search for a cure for AIDS involving researchers at the University of Pennsylvania. Sangamo is also involved in another AIDS research project financed by the stem cell agency at the City of Hope and USC. The company produces a gene-editing tool and its stock price is soaring. “The idea of genetically altering people’s cells to make them resist the virus that causes AIDS may seem like a pipe dream, but a new report suggests it can be done. “On first glance it looks as if this works with the CD4 t-cells while the work we are financing focuses on a similar approach but perhaps the best explanation of the difference comes from this section of the original application from John Zaia's team at City of Hope that is partnering with Sangamo. Sangamo's stock has climbed dramatically this year. On Jan. 9, based on news of an investment in the company by Biogen Idec, Sangamo opened at $15.70, rose to $19.12 and closed at $18.88. The volume of shares traded was 10.4 million. The average volume of trading over has been well less than 1 million for most of the last 12 months. Today the stock closed at $22.96, up from $18.92 at the Tuesday close, the day before the clinical trial news surfaced. Volume hit 11 million shares. Sangamo's 52-week low is $6.86. The state of California will offer up $1.6 billion in general obligation bonds next week but none will be for the state stem cell agency. 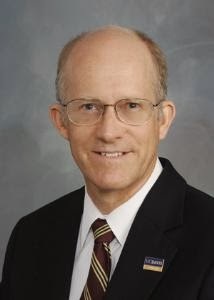 The next round of bond funding involving the agency is scheduled for April 22 with $145 million slated to go for stem cell financing, Tom Dresslar of the state treasurer's office told the California Stem Cell Report. The $3 billion agency is financed through state borrowing (bonds), which roughly doubles the cost of its activities because of the interest expense on the bonds. The state currently provides cash to the agency via short-term debt (commercial paper). Then the state sells taxable bonds to repay the short-term debt. During the 2004 ballot campaign for Prop. 71, the public was led to believe that the agency would be financed with non-taxable bonds, which would have meant lower borrowing costs for the state to the tune of hundreds of millions of dollars. $72 Million for Commercial Stem Cell Therapies? The $3 billion California stem cell agency next week is likely to move to pump about 12 percent of its remaining, dwindling cash into business-friendly efforts to develop commercial therapies. Coming before the agency's governing board on March 13 are two “concept” proposals for grant and loan programs totaling $72 million that are in line with CIRM's drive towards the marketplace and fulfillment of the promises of the 2004 ballot campaign that created the agency. The proposals are coming from the agency's staff and fit with the strategic direction of the board. Such proposals have almost never been rejected in the past. But the board has demonstrated some fiscal concern in recent months as its uncommitted funds have shrunk to roughly $600 million, according an estimate presented by agency Chairman Jonathan Thomas in late January. The agency is scheduled to run out of cash for new awards in 2017. The largest new proposal before the board would provide up to $40 million for four or five preclinical development awards. They would be aimed at development activities prior to a phase one clinical trial and at helping to attract future funding. Businesses and non-profits would eligible with businesses possibly taking a forgivable loan. The second proposal would provide up to $32 million for possibly three awards in the agency's strategic partnership program ranging from $10 million to $12 million. The objective would be completion of a phase one or phase two clinical trial within three years. Matching funding would be required. Both businesses and non-profits would be eligible with forgivable loans a possibility for businesses. If potential competitors for the awards are interested in shaping the direction of the proposals, next week's meeting in Burlingame is the time to appear before the board. The next step is posting a request for applications, scheduled for April and May. Board action on applications would come early next year.